The IFR-equipped model exceeds FAR 91.205 requirements and includes features such as the standard “6 pack” instruments (including TSO gyros), heated pitot, alternate static, lightning protection (as required by FAR 23.867, 23.954 etc. ), de-icing window, strobes, navigation, taxi and landing lights, and much more. 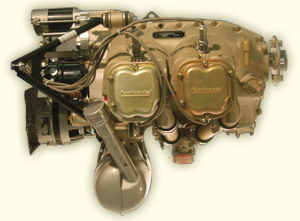 The Continental 0-200-A engine used in the aircraft as its FAA certified under part 33, allowing IFR operations. 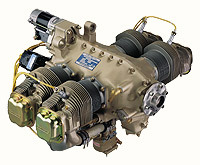 The Continental 0-200 engine installed in the STOL CH 750 S-LSA is factory new. For IFR flying, the classic 0-200-A Continental is FAA certified to FAA Part 33. A fixed pitch propeller from Sensenich is installed as standard equipment. Its light (wood) and protected with leading edge reinforced fiberglass. Sensinch propellers are manufactured in accordance with the FAR's for quality and design. The all metal airframe is tough and long lasting with minimal maintenance. Keep the aircraft outside year round is fine so save on hanger rental costs. The airframe is one of the few LSA's that has undergone a static load test on the complete airframe and not just the wings. 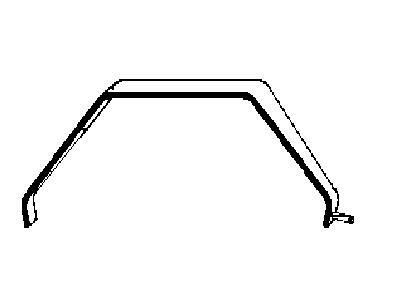 6061-T6 aluminum airframe and 4130 steel tubing for the controls. Temper foam, also known as memory foam, was first commercialized during the mid 60s as a result of NASAs AMES Research technology transfer program. This open-cell variety of flexible polyurethane foam (FPF) was distinguished by properties allowing it to redistribute the G-Force suffered by astronauts during take-off and re-entry, and providing commercial pilots a more comfortable seating surface during long flights. Although Temper foam production technology has been available for more than 35 years, commercial products have only recently been made widely available to consumers. Temper foam is typified by its slow recovery after compression. When a weighted object (for example, the human body) is positioned on Temper foam, the foam progressively conforms to the shape of the object, and after the weight is removed, the foam slowly reassumes its initial shape. Due to this gradual recovery, Temper foam also can be described as slow recovery foam. Other characteristics include Temper foams ability to dampen vibration as well as absorb shock. 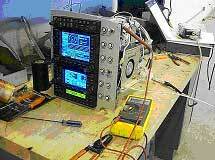 This latter performance characteristic is confirmed in the laboratory using ball rebound tests. Ball rebound of less than 20% (compared to 50%  60% with other varieties of FPF) supports the description of Temper polyurethane foam as dead or low-resilience foam, in that it lacks the surface springiness of other FPF products. In fact, certain Temper foam products claim to absorb up to 90% of impact. In addition to these key advantages, Temper foam also react to body temperature and ambient temperatures, softening with heat and more easily adjusting to body contours. 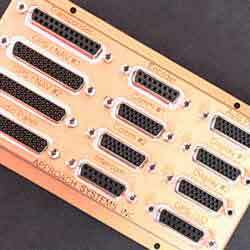 In the Alarus, Temper type foam is used and is part of the FAA approved Type Design.. The simple one-piece aluminum spring gear of the FAA certified CH2000 has been well tested in the field as many flying schools throughout the world are using the aircraft as a primary and IFR trainer. The toughest gear ever! The 750 uses the same type gear system. The STOL CH 750 S-LSA gear is similar. Extra tough and simple. In order to meet requirements of FAR 91.411 (...No person may operate an airplane, or helicopter, in controlled airspace under IFR unless...Within the preceding 24 calendar months, each static pressure system, each altimeter instrument, and each automatic pressure altitude reporting system has been tested and inspected and found to comply...). 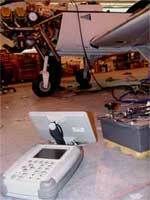 Tests are signed off by an FAA certified person before delivery. Log book entry must be made. In order to meet requirements of FAR 91.413 (No persons may use an ATC transponder.....unless, within the preceding 24 calendar months, the ATC transponder has been tested and inspected and found to comply...). Tests are signed off by an FAA certified person before delivery. Log book entry must be made. ELT's are tested and inspected in compliance with FAR 91.207. ELT can be turned ON at the panel. Nose wheel is moved through the rudder pedals. Makes it very easy to taxi and land.